Published By – Malpas Music Ltd. 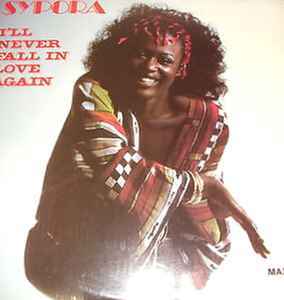 Seems to be a 1:1 copy of Pamela Nightingale ‎– "I'll Never Fall In Love Again" from the same year. I've listened to both versions back to back a couple times and can't hear much difference between them, except for pressing quality. The voice on the Sypora version sounds deeper initially, but if you speed up the track so both versions are the same duration, it's identical. Is this just the Pamela Nightingale ‎version under a different name for the SA market?